If you are looking to buy a narrow boat, you will need to consider and decide which mooring option is most suitable. Sometimes you will need to secure your mooring prior to purchasing your narrowboat. 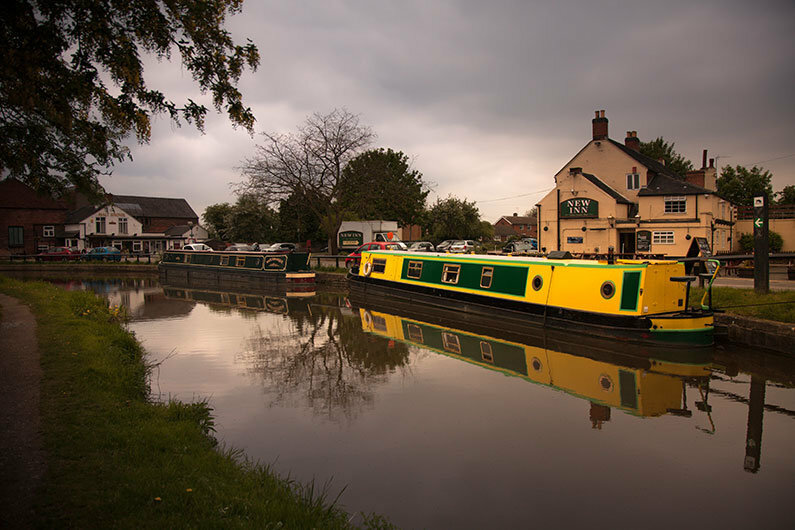 The golden rule before purchasing a narrow boat is to think about a whether you will require a mooring spot or will you be a continuous cruiser? If you decide you require a mooring spot, it is imperative that you secure this before purchasing a boat. Likewise, if you decide to continuously cruise, make sure you are aware of what this means and the implications. 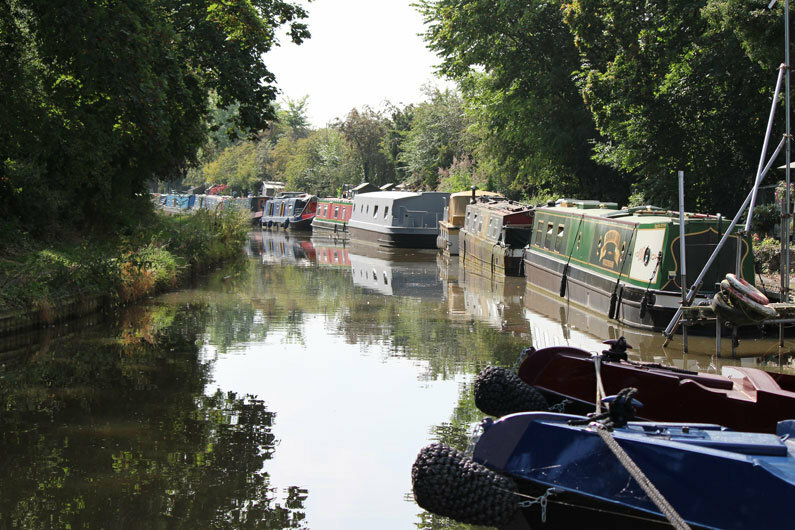 Moorings are plentiful, from fully serviced marinas to boat clubs or along the towpath. Choosing the right mooring for you is essential and there are lots of options available. 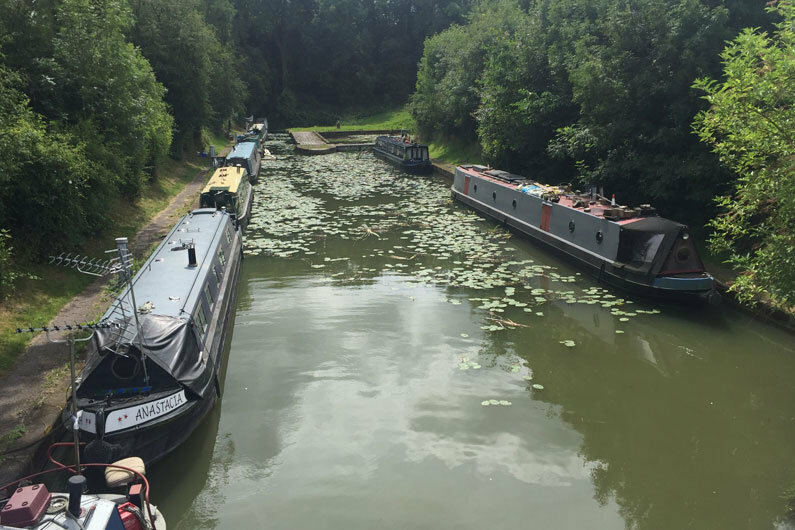 The type of mooring you require will depend on how you see yourself using your narrowboat; will you be doing lots of cruising throughout the summer? Is your canal boat a weekend getaway? 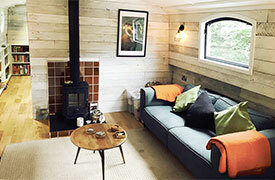 Do you want to live permanently on your narrow boat? If so you must search for a ‘Residential’ mooring rather than a ‘Leisure’ mooring. Moorings are often priced according to boat length and location. Mooring fees can be one of the biggest annual expenses of owning a narrow boat, so vital you make the right decision. If you are buying a second-hand boat, be aware that moorings are often not automatically transferable to the new boat owner. Do you need to be in a certain area for work/school etc? Do you need good public transport links? Is car access (including parking) required? What local amenities do you need and how far are you willing to travel to them? Supermarket, doctors, laundrette etc? If you are using your canal boat for occasional use, how far do you want to travel from your residential address to get to your canal boat mooring? 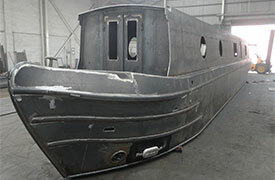 What boat facilities do you want available? Elsan and water point; Facilities block (shower and toilet)? What type of cruising will you do and where would you cruise? If your cruising spot is remote how far can you realistically travel on a short break? Some of the most popular mooring spots are close to junctions so that in a relatively quick time you have lots of cruising options available to you. 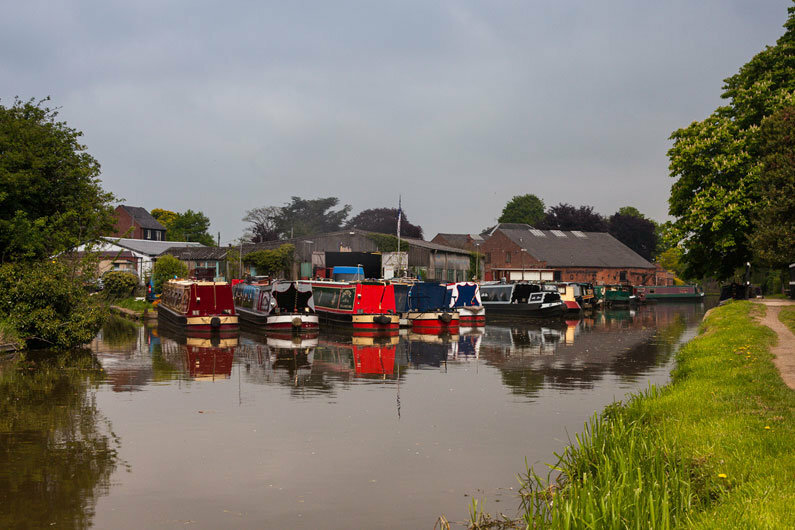 For example Sawley Marina (BWML) on the River Trent is very popular as you are virtually on a junction with the Trent & Mersey, River Soar and Erewash canal, so you have a choice of 4 waterways on your doorstep. River or canal moorings? You will always be at risk of floods on a river which isn’t ideal if you are away from your canal boat a lot, particularly in the winter. However the size of your boat may also restrict where you can moor as sometimes a canal would be too narrow to moor a widebeam boat. Marina Moorings… Is It Right For You? Marinas are probably one of the first options that would occur to you when considering a mooring spot for your narrow boat. There have been many new marinas built over the past few years and these are setting the standard for facilities and amenities. Marinas do vary massively in terms of what facilities they can offer and as such costs also vary greatly. On a basic level you would generally find facilities block (toilet and shower), water point, Elsan, diesel pump and maybe coal/gas. A big draw for a marina mooring is to be able to connect to shoreline power. In a newer, larger marina you may also find shops, chandlery, launderette, dry dock, eateries, Wi-Fi, gym and maybe even a pub! Car parking isn’t a given in all marinas, particularly in urban marinas, but you are likely to be near public transport anyway. Typically marinas will have a ‘finger pontoon’ configuration and you would be allocated a berth with a shared pontoon. Some marinas will charge extra for a private ‘luxury berth’ with own pontoon and facilities. 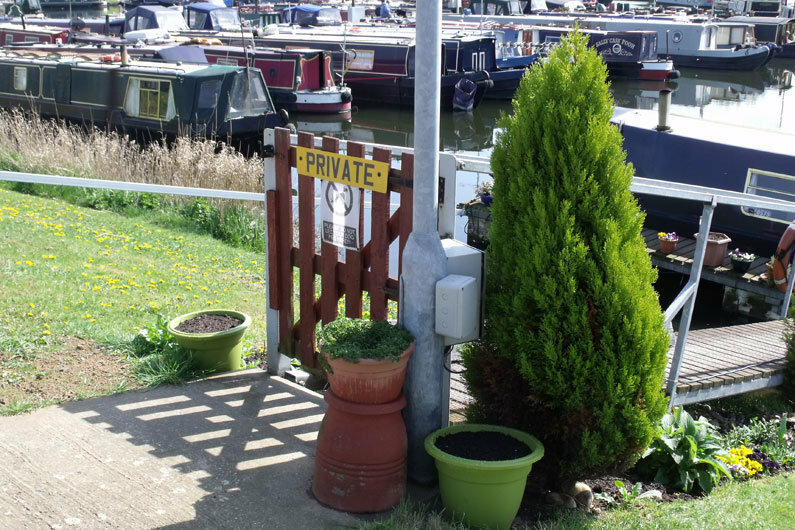 A big benefit of a marina is security, this is important to all boat owners but particularly if you leave your narrow boat unattended for long periods of time. However, marinas aren’t for everyone. You are likely to be in close proximity to your neighbours and can feel a bit like you are ‘sardines in a tin’, but likewise some boaters enjoy the community feel of a marina. Some marinas will offer a limited number of residential berths for those wishing to live aboard permanently. The numbers are often limited by the local council when granting planning permission and the cost of these berths will be considerably more. Residential moorings are often subject to council tax. If you are giving up a life of bricks and mortar for life on-board, start searching for a residential mooring as soon as possible as marinas will often have a long waiting list for these berths. 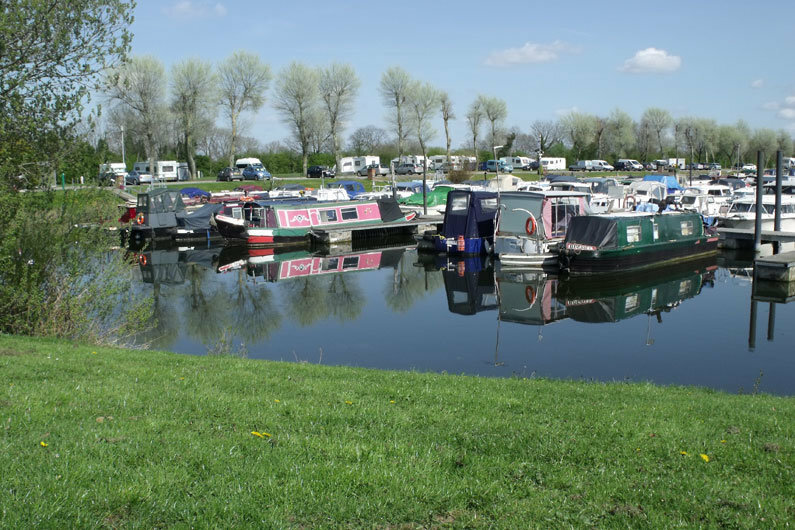 A waterways licence is also required at the majority of marinas even if your narrowboat resides permanently in a marina. There are few exceptions to this when the marina is on non-CRT waters and a licence would only be required when you leave the marina. 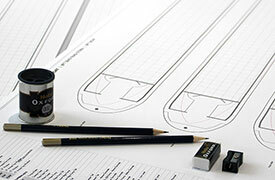 On-Line Moorings… Is It Right For You? These are narrowboat moorings on the canal or river, and can be on the towpath side or the opposite bank (offside). 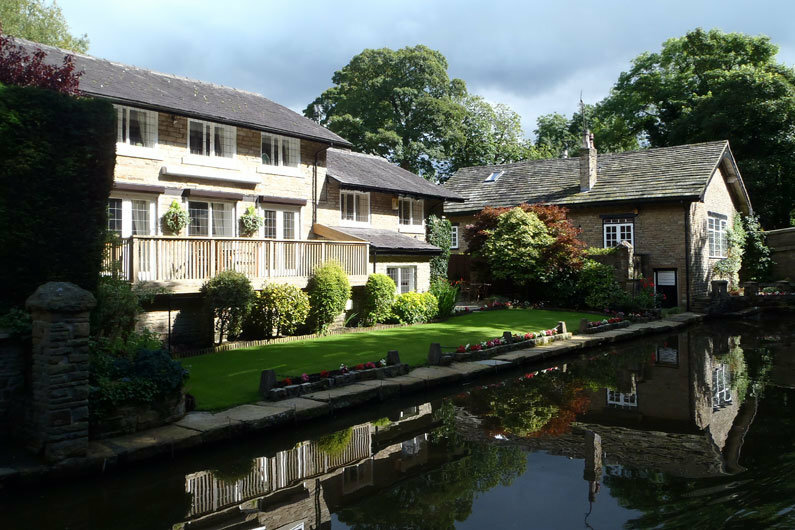 Towpath moorings are managed by the navigation authority, most commonly Canal & River Trust, whereas offside moorings may also be owned by private landowners who would still have to pay CRT a fee to moor boats. Facilities at these moorings will vary massively as will the cost. If you are fortunate you may have a water point, Elsan, shoreline power and facilities block close by. Likewise you may have none of these and you would be required to cruise water or Elsan point. However, you may find an on-line mooring in an incredible spot, with spectacular views and surroundings. You are also less likely to feel as claustrophobic as you may feel in a marina on a finger pontoon. Security is a concern for some boaters considering an on-line mooring, however this very much depends on the local area and other boaters in the vicinity. An on-line narrow boat mooring is not necessarily cheaper than a marina as this is dependent on location and facilities on offer. 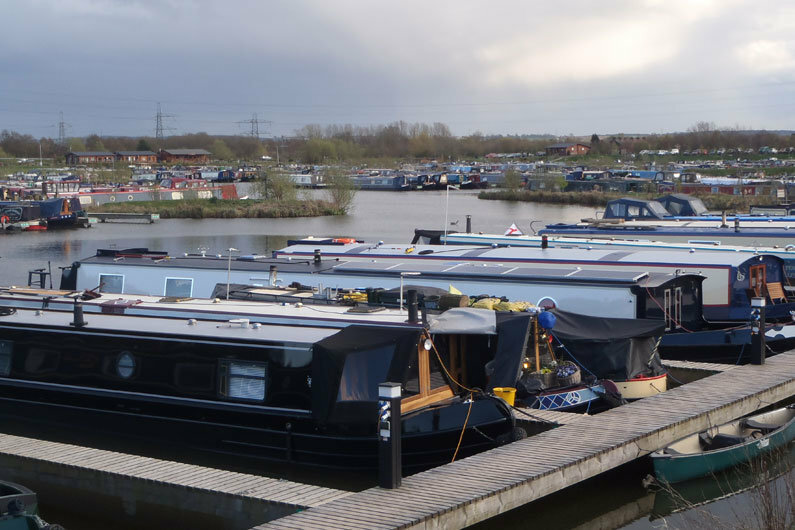 Canal & River Trust have over 3,500 long term, permanent moorings spread across 300 sites in the UK. Berths are usually let for periods of 12 months or more; are predominately for leisure use but there are limited residential moorings available. Shorter term moorings are also available in some areas often referred to as a ‘winter mooring’. These are ideal for narrow boaters who like to spend the summer months cruising the network but would like a permanent base for over the winter months, without the annual cost. 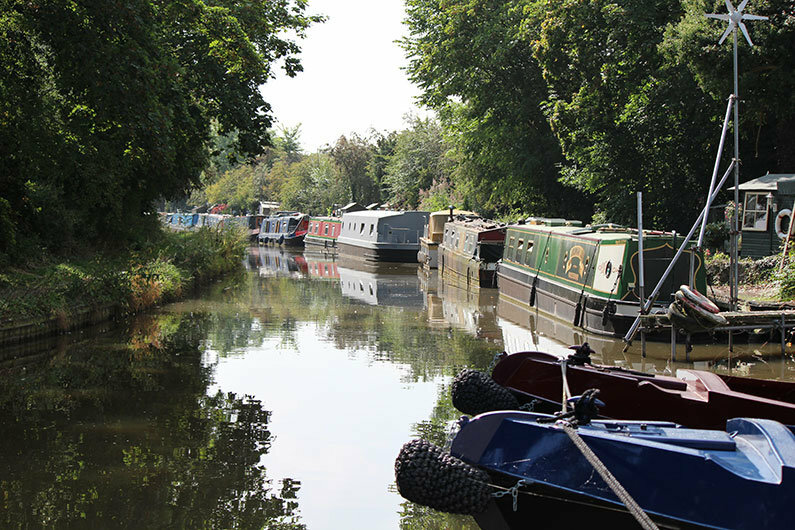 The Canal & River Trust Moorings website has listings of all available mooring spots plus details on how you can acquire a mooring spot, either by auction or ‘buy it now’ process. Basin Moorings… Is It Right For You? 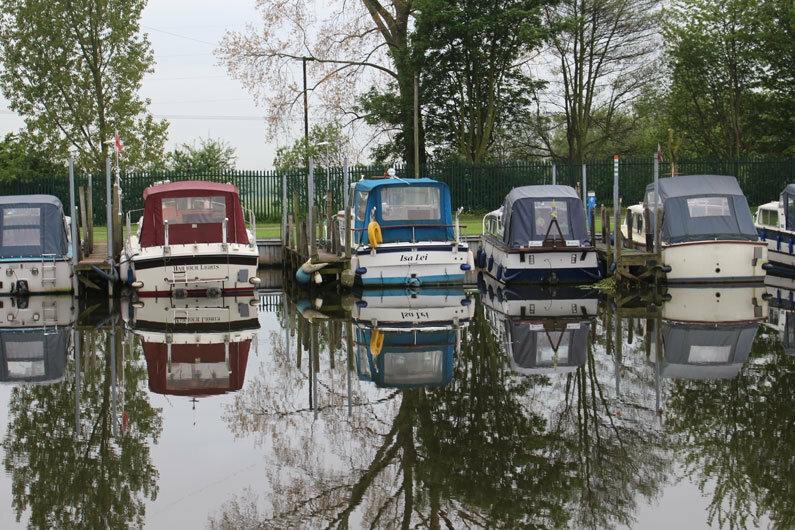 If a narrowboat mooring in large off-line marina is not for you, a smaller dedicated mooring basin may be another option to consider. Mooring basins will often have facilities similar to a marina in terms of water, electricity, Elsan but without the commerciality of many marinas. Basins are often in urban areas and as such would have easy access to local facilities and public transport. End Of Garden Moorings… Is It Right For You? 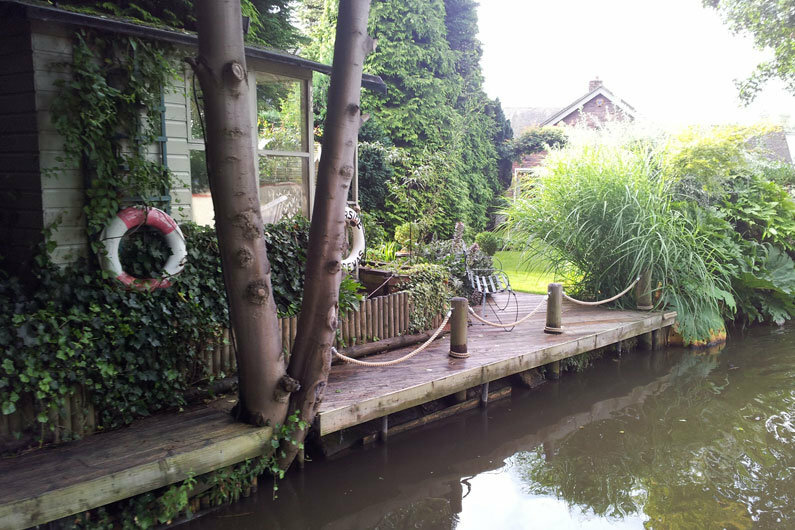 If you are fortunate to live by a canal or river you may be able to moor your narrow boat at the end of your garden. However, this is not a universal right and you would need to check with the navigation authority before assuming you are able to do this. Even if it is agreed you can moor your narrowboat at the end of your garden, you will still have to pay a fee to the navigation authority. This can be 50% of the current price of a ‘no-facilities’ mooring nearby. Moorings will not be agreed if there is any operational, environmental or safety risks, this would include proximity to locks and bridges. Can you approach a local landowner/farmer to moor at the end of their land/field? In simply terms, yes you can do this, but the same rules apply as the end of garden moorings. A landowner would have to seek permission of the navigation authority and if agreed, would pay a fee to have the mooring. Unfortunately there are many rules and guidelines around these type of moorings and new mooring agreements are rare and existing ones highly sought after! 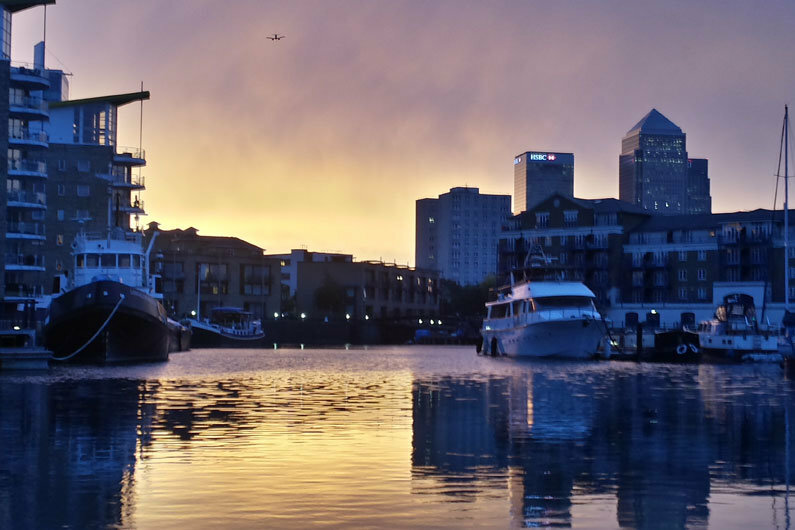 Boat Club Moorings… Is It Right For You? If it is the social experience you are looking for, then a narrowboat mooring at a boat club may be ideal for you. You are unlikely to get the facilities offered at many marinas but you can expect to get the basic facilities required and often a club house for social gatherings. The boat clubs are normally run by a committee. Mooring fees are often less as it is expected that members contribute to the maintenance and upkeep of the boat club and facilities, however you may need to pay a joining fee which can be equivalent to a year’s mooring fee. Boat club narrow boat moorings are often limited and waiting lists can be long. Many boat clubs will organise cruises and events for its members and will be a member of the Association of Waterways Cruising Clubs, offering reciprocal moorings at each other’s locations.